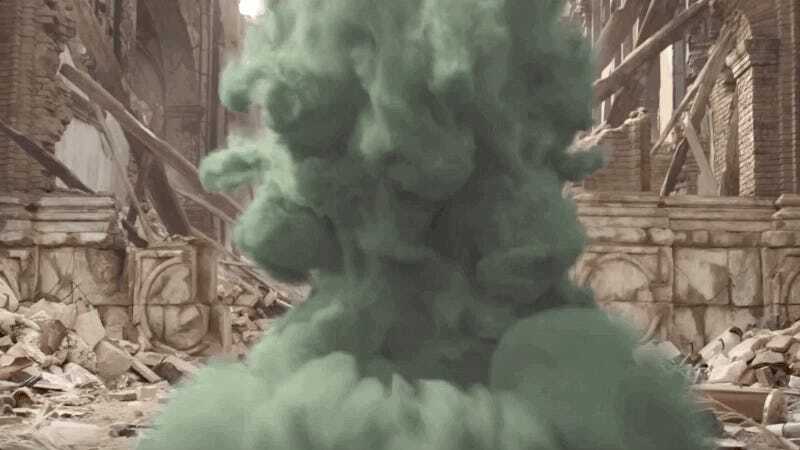 Mysterio showing off his sick vaping skills. Curiously, actor Jake Gyllenhaal is joining the Marvel Cinematic Universe as a seemingly heroic reimagining of Quentin Beck, the original Mysterio who first appeared in The Amazing Spider-Man #13. In Marvel Comics’ pages, after coming to the conclusion that his career as a stuntman and special effects artist wasn’t going anywhere, Beck turned to a life of crime and used his skills to develop a number of fighting techniques involving illusions and weaponized gasses with different effects. Once Spider-Man managed to trick Mysterio into admitting that he’d attempted to rob the Midtown Museum, the villain became fixated on the idea that Spider-Man was responsible for his lot in life, and set out on a lifelong mission of trying to drive Spider-Man insane as payback. Because Beck was originally written as being a baseline human being, most of his abilities are purely technological in nature and play into the overall theatricality of his villainous persona. What Mysterio lacks in actually being able to kill Spider-Man, he more than makes up for in dramatics and genuine cleverness, which makes him a very interesting character to see in action. Spider-Man and Mysterio interrupting a film shoot in The Amazing Spider-Man #13. Like most of Spider-Man’s foes, Mysterio’s a frequent member of the Sinister Six, though his alliances with the group tend to end up landing him in prison more often than not. During one of these stints behind bars, Beck crossed paths with Daniel Berkhart, a fellow inmate who ends up becoming the second Mysterio for a short period of time after he’s hired to impersonate a presumably-dead Beck at the behest of J. Jonah Jameson. Following Berkhart and Beck’s respective deaths, two more individuals subsequently ended up taking on the Mysterio mantle: a disturbed, teleporting mutant by the name of Francis Klum, and an unnamed man who introduces himself as Mysterion. 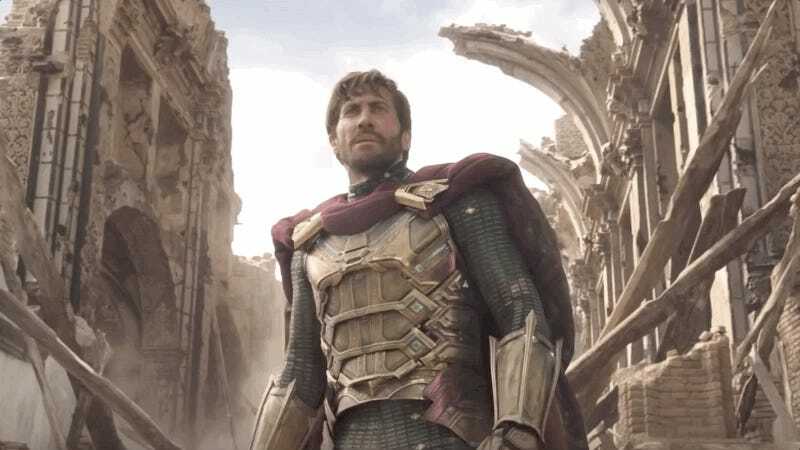 While Spider-Man: Far From Home’s Mysterio is based mostly on the original Quentin Beck, the fantastical nature of his powers suggests that the movie will be reworking specific aspects of his abilities in curious ways. In the brief appearance he makes in the trailer, he shows up in his classic costume with his signature smoke zooming around in the air as he fights against what appears to be Hydro-Man. Interestingly, the movie’s Mysterio fends off his foe using some kind of ability that bears a striking resemblance Doctor Strange’s magic, which suggests the film might be taking Beck’s magician origins much more seriously in order to make him a bigger power player. Mysterio doing his best Doctor Strange impersonation. Mysterio’s seeming turn for the heroic is almost certainly meant to be a fake out of some sort—or just the beginning of his arc in the MCU that begins with him working alongside Peter Parker to battle a quartet of monsters known as the Elementals. With Michael Keaton probably returning as Adrian Toomes (aka Vulture) at some point down the line—if not necessarily in Far From Home—it stands to reason that the Homecoming sequel could potentially be playing a much longer game in terms of laying the groundwork for the MCU’s Sinister Six. Even if Beck doesn’t go full baddie over the course of this movie, it’ll provide plenty of backstory and emotional connection between him and Spider-Man that’ll make his pivot to villainy that much more satisfying to see. Really though, the most important thing about Mysterio that one needs to know is that he isn’t himself without that big, gaudy fishbowl he’s so fond of wearing on his head, because putting on a show is Mysterio’s whole thing. He’s a twisted, alternate reality version of Liberace hellbent on fighting with a teenager dressed up like a spider, and as strange as it is to consider, he might end up being one of the MCU’s coolest villains yet.